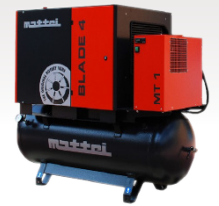 Mattei maintains a steadfast dedication to the continuous development of new, innovative products with the ability to help companies meet their compressed air needs. We are proud to announce our latest achievement, the BLADE SE Quality Air Station. 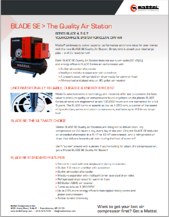 For more information on the BLADE SE and what sets this compressor apart from the rest, we encourage you to download our BLADE SE product guide. Please complete the form to the right to download your copy of the BLADE SE product guide.